Out of the navabi looks I have featured this week, this outfit best represents my personal favored style. Simple classics paired with a statement piece is when my world aligns. 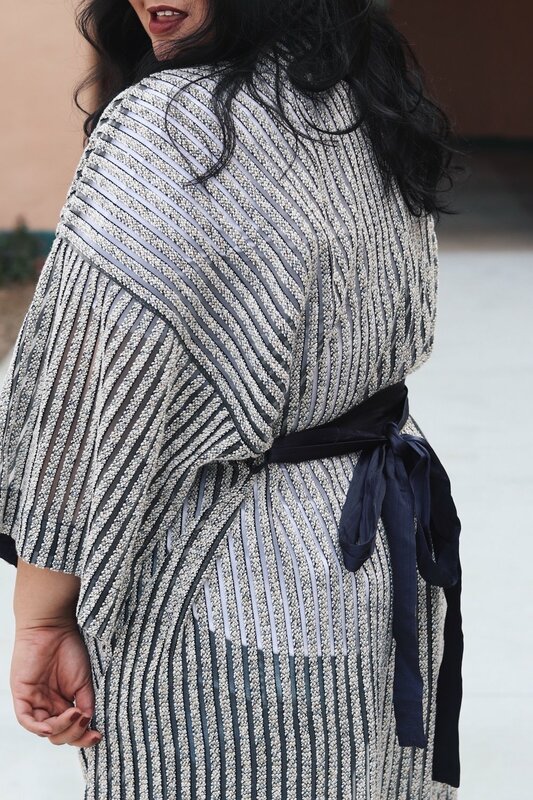 This stunning kimono by Hayley Hasselhoff for Elvi sold exclusively at navabi was the perfect statement piece to add to the simple foundations of this outfit. Do you think this outfit finally gives me the audacity to be called an official fashion blogger? What do you think? I say, YASSS!!! And my favorite: head-turner statement pieces. This denim dress with a modern twist done right. To no surprise, this piece is sold out but navabi is GREAT at re-stocking and convenient notifiers are available on their website. Just look at this blazer ready to play! One in each color please. And I just can't get over the new navabi collection welcoming spring with statement pieces with the most elegant designs. You now too have the chance to experience navabi for the first time or to add to your navabi collection with a navabi-sponsored gift card giveaway! Watch-out for the entry post on Instagram tomorrow! This post concludes my favorite pieces from navabi and I had a blast sharing it with you. Which look was your favorite?